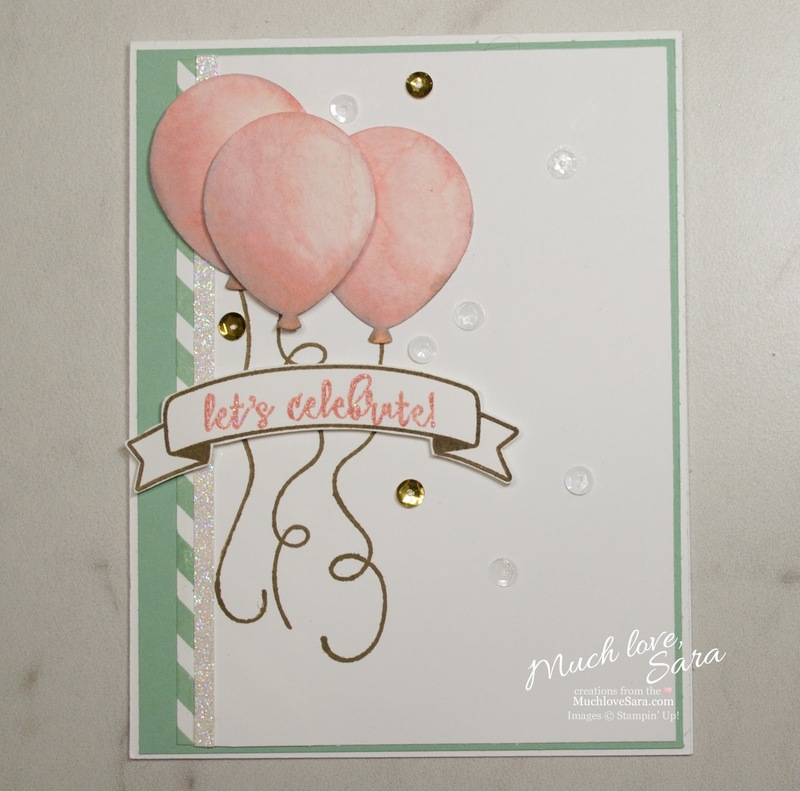 Much love, Sara | Cards & Paper projects made with love: Let's Celebrate! I love pretty pastel shades, and water coloring always seems to bring out their sweetness! 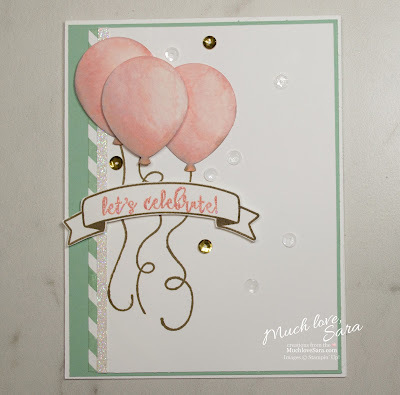 Today's card started with some balloons punched from watercolor paper. 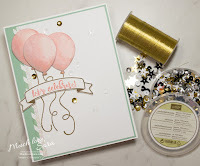 I used my Aqua Brush to watercolor the balloons in Blushing Bride and Soft Suede (blended very carefully into the shadows). 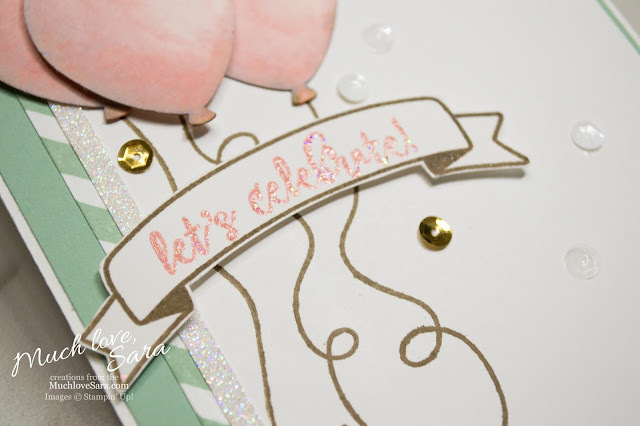 While they dried, I stamped the balloon strings onto a piece of Whisper White cardstock, and also stamped another piece with Mint Macaron stripes. I laid a strip of the striped paper along the side of the Whisper White - decided to add a bit of Dazzling Diamonds for some sparkle - and then matted the background onto a piece of Mint Macaron. Which was adhered to my WW card base. I stamped the banner onto a scrap of WW, let that dry, and then stamped my sentiment with Blushing Bride ink. I QUICKLY coated the sentiment with sparkly embossing powder (mixed using a trick I shared on my FB page), and heat set that. I added the sentiment with dimensionals, and then added a few sequins scattered around. PS. 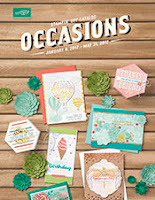 The Occasions Catalog and Sale-A-Bration Sales Period has begun! 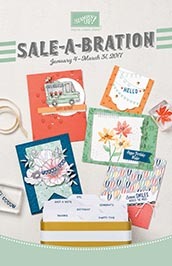 Make sure you have the current catalogs in hand. 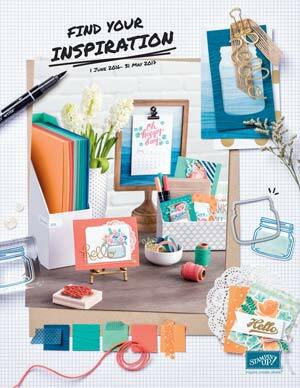 If you are in the US and looking for a demonstrator, send me an email, and I can send you out a catalog. 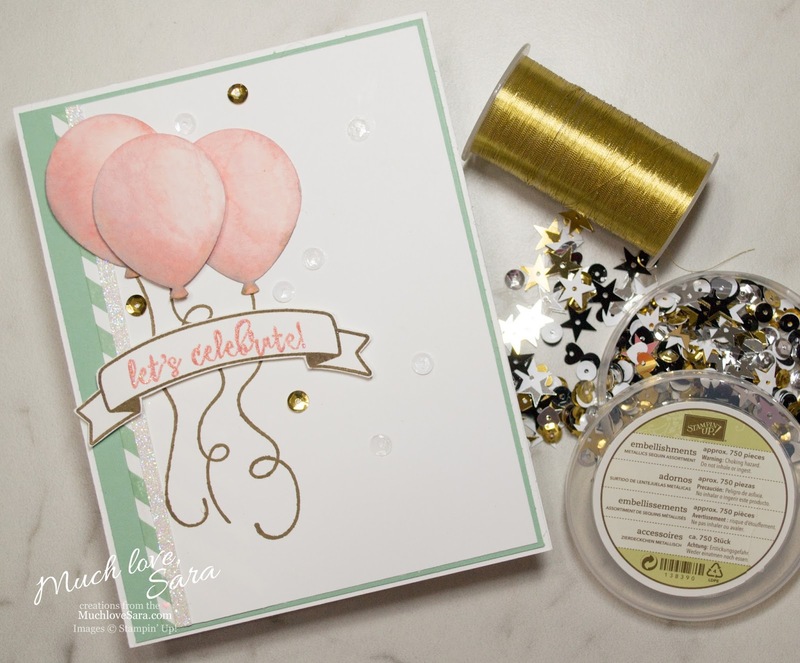 Labels: Balloon Adventures, Birthday Cards & Projects, Diagonal Stripe, Stampin' Up! The card is so wonderful! Pastel, delicate and sooo beautiful! Super card, Sara! Love all the pretty details.